Cystiphora sonchi is a midge whose larvae cause galls to form in the leaves of Sow-thistles. 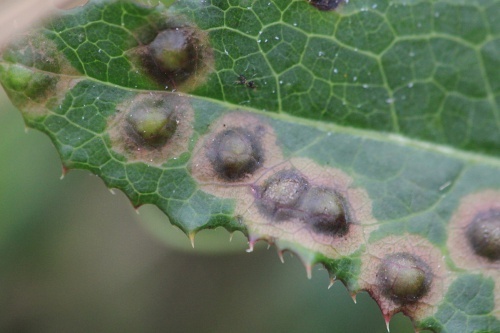 The galls take the form of circular pustules in the leaf 4 to 5 mm across, raised 1 mm on the upperside, and slightly concave below. 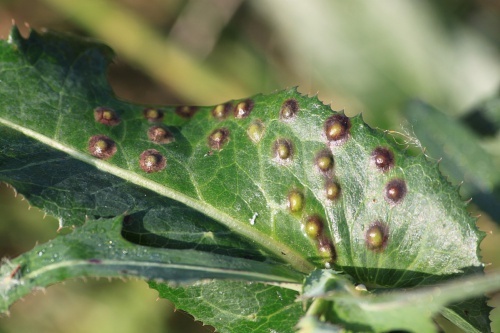 The pustules are pale but the area around them is purple. 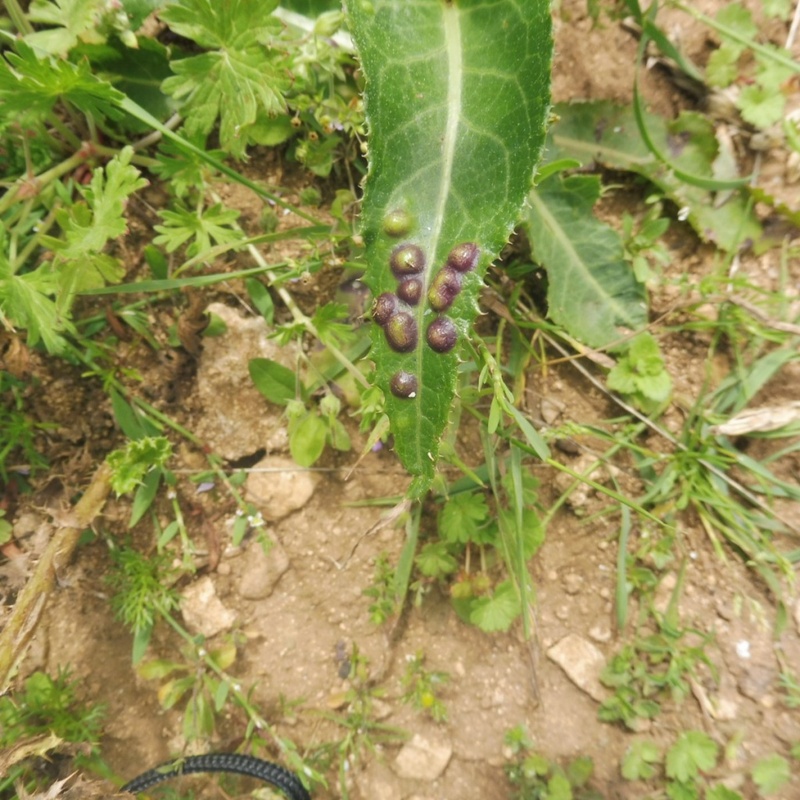 There are often several galls on a single leaf. Each gall contains a pale yellow to pale orange larva or pupa. 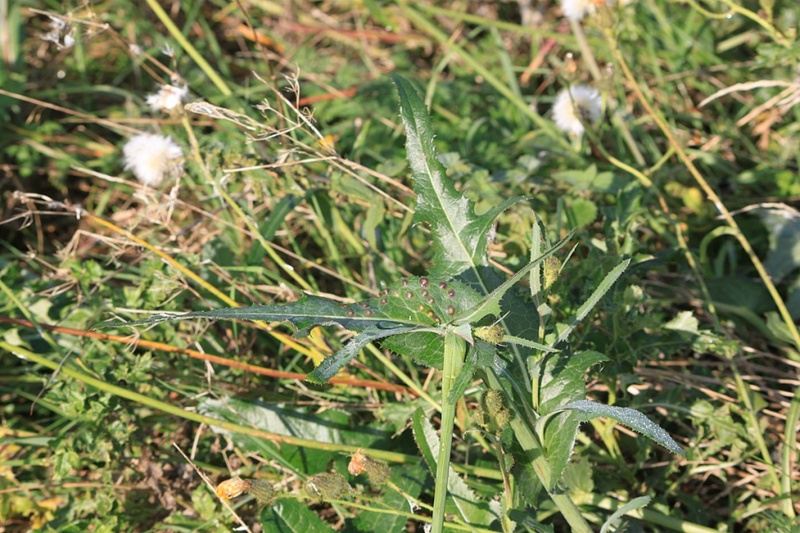 Anywhere that the host Sow-thistles are found. Adult emerges from a hole in the underside in the autumn, but galls can be seen earlier than that. Locally frequent in Britain, but not well recorded. True status in Leicestershire and Rutland not known due to lack of recording.